What an epic celebration!! Just when we think it can’t get any better, it does!! And bigger too!! Our Blissful Bedrooms family is growing and the joyfulness and love is expanding and spreading as a result. THANK YOU so very much, Lucky Strike, for welcoming us back for the third year in a row. We are filled with gratitude for your generosity and hospitality year after year. 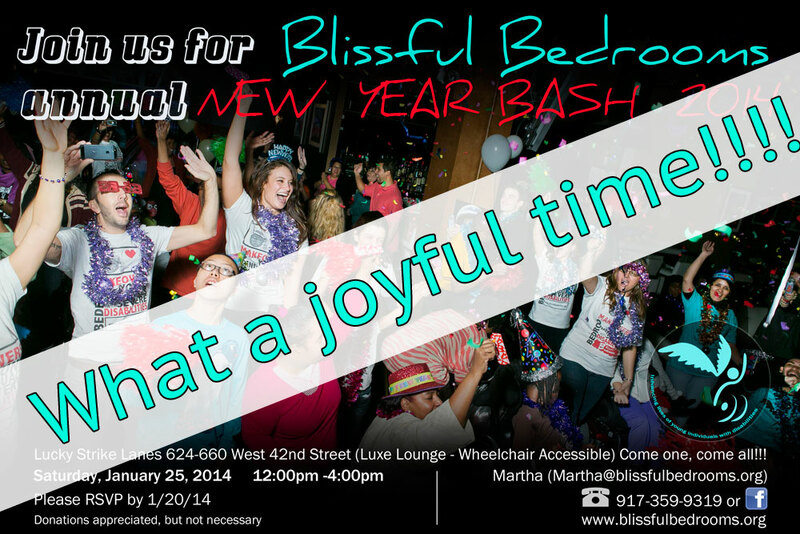 It feels so good to know that we can look forward to returning to your beautiful establishment every January to celebrate a brand new year together – a wonderful, annual tradition that means so very much to the disabled youth our organization serves, as well as their families and all of the Blissful Bedrooms volunteers. 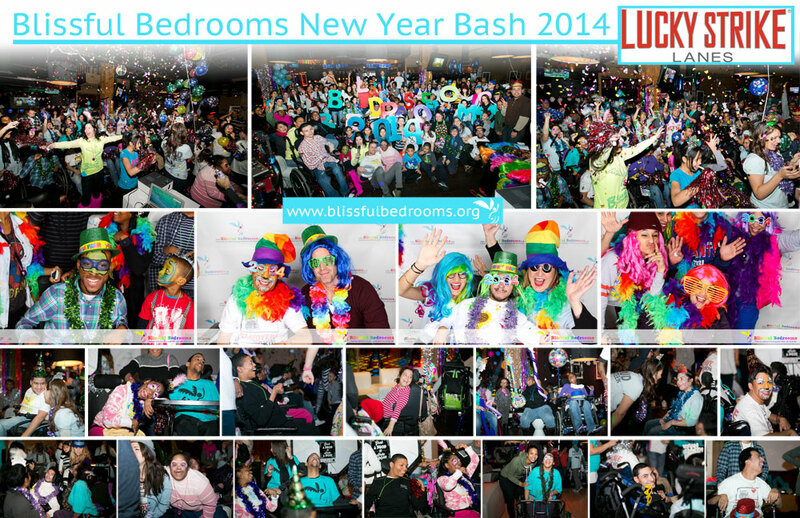 THANK YOU to all of the Blissful Bedrooms volunteers who helped create this ecstatic atmosphere of joy. It’s is because of your commitment that all of the smiles in these photos are even possible. Check out our party pics. Can't you just feel the joy looking at them!! Thanks Alex (www.alexographer.com), as always, for capturing the happiness. Check out the pics from the BeLightful Photobooth (www.alexographer.com). How beautiful and delightful are all of our guests!